Gerre, I’m so glad you already know about Oak Wilt and are keeping an eye on your trees. Our yard and the slope below us are covered in black oaks (a member of the red oak family), so I’m really glad to know about it,too. I’m happy too that the photos from Julie Stachecki are helpful. 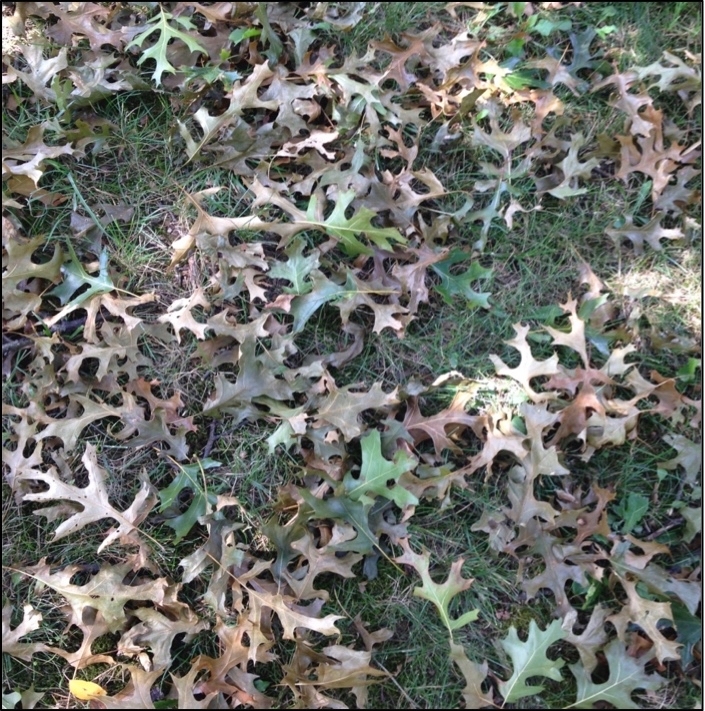 Oak Wilt is such a serious danger to our Michigan oaks that I hope people are willing to prune in the winter and cover any wounds immediately in the summer months. I do a lot of the mowing here, and I know I’ll be even more careful in the future! I’m hoping to get my neighbors some info on this as well to protect all the oaks in our neighborhood and the parks since it spreads so far and fast to other oaks! Thanks for the kind comment.